THE old saying "two wrongs don't make a right" stands the test of time and given recent events regarding the egging of Senator Fraser Anning, I'm inclined to say that's the case. In case you haven't heard, Egg Boy, as he's being dubbed, slapped an egg onto the back of the conservative politician's head at the weekend. 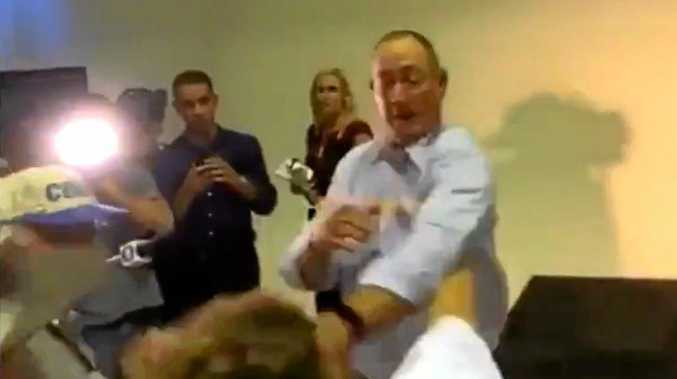 Anning hit back, striking the boy who was then tackled by a group of his supporters. Neither action is good, and the fact a 17-year-old boy wanted to protest with a physical attack is concerning. What's also concerning is a full-grown man in public office laying into another person. Having said that, you have to wonder what was going through Egg Boy's mind. Online, his supporters are hailing him a hero. A video of the boy after the attack shows him saying "don't egg politicians, you get tackled by 30 bogans at the same time, I learnt the hard way". I know teens are prone to riskier behaviour than adults, but what exactly did this young man expect would happen when he set off to plonk that fateful egg on Anning's head? Did he really think they'd laugh it off? We live in a time when people are tense. Physical attacks and terrorism are much more prevalent today than they were a couple of decades ago. You can understand why someone would lash out if taken by surprise, but physical force still isn't the answer - and neither is making a martyr of this boy for his silly actions.